This time of year is always exciting for Apple and technology fans around the world. Apple is preparing to hold their annual Worldwide Developers Conference (also known as WWDC) which is where they unveil a lot of their upcoming technology. This year’s conference is going to be taking place next Monday, but before it has even started there have been various pieces of news and rumors that suggest this year’s conference could be an interesting one. The biggest thing about this year’s conference is the unveiling of Apple’s new smart home technology. According to a report from Financial Times, Apple is going to be introducing a new software platform that allows people to use their iPhones to control different aspects of their home such as lights, appliances, and security systems. Unfortunately, this may not be the over the top futuristic houses we see in movies. One of Gigaom’s sources explained Apple’s smart home to be a bit more simplistic than most would hope; “the smart home effort will have a heavy focus on connecting devices easily via Wi-Fi and will likely offer voice control via Bluetooth as well. However, it won’t have some sort of software-based automation layer controlled by Apple that supersedes the original apps.” While this news is a bit disappointing, it is the more realistic expectation for now. Apple already has some tricks up their sleeve that would seem beneficial to the smart home. This may be the first time hearing about a unified smart home, but Apple has some pre-existing technologies that can relate to this concept. For instance, they already have iBeacons, which are “low-cost transmitters that can notify nearby iOS 7 devices of their presence”. iBeacons combined with smart appliances could allow things, such as lights, to automatically turn on upon walking in a room. In addition to iBeacons, Apple was able to connect a “Made For iPhone” certified air conditioner with an iPhone, allowing the iPhone to control the air conditioner over WiFi, which was something shown at CES. Seeing the same concept applied to other appliances around the house and having them all unified would truly be a sight to see, so hopefully it’s something we will see at WWDC. One of the main purposes of WWDC is to introduce developers to the upcoming iOS, and this year it is iOS 8. We have already been hearing a lot about iOS 8 and it’s exciting new features. One of the biggest changes we can expect to see in iOS 8 is the new Healthbook app. As implied by the name, the App aims to provide the user with helpful information about their health and fitness. The app can monitor physical activity and various health related numbers such as your heart rate. Using this data the App can provide all sorts of graphs and information that will be useful to any user that hopes to increase their fitness and overall health. While Healthbook may be exciting to some, it’s not the only thing Apple is bringing to iOS. In addition to the new Healthbook app, Apple also plans to update some of their pre-existing applications. One of the biggest changes is a much needed update to the maps application. The new maps application will still have the same look as it did in iOS 7 but the functionality and data used will receive a major overhaul. It is also probable that we can see transit play a big role in iOS 8’s maps as Apple has recently acquired numerous transit companies, such as Embark, who have already made notable transit apps available on the appstore. Aside from the maps update, we may also see some smaller changes such as an update to the Voice Memo app, TextEdit and Preview (Mac applications) file viewing apps, and a standalone iTunes radio application. Apple is also not just going to be adding apps, as there has been a rumor that Apple will remove the Games Center app. Unnamed sources told 9to5mac Apple plans to ditch the Game Center app and just have game services be directly integrated into the games themselves. An alleged screenshot of iOS 8 has shown the games center icon on the homescreen, so this could be false information. If the screenshot is real then it would invalidate the rumor, but at this time the rumor nor the screenshot is confirmed, so we are just going to have to wait and see what Apple does. Although we may not know exactly what is coming, it’s safe to assume there will be some exciting changes coming to iOS 8 apps, whether they be big or small. Apple is not just going to be changing up the apps, but they also will change the core functionality of iOS. One of the most talked about changes is a split-screen multitasking feature. Unfortunately, according to a new york times journalist, Brian Chen, “the split-screen feature for iOS 8 isn't ready yet and won't be shown at WWDC”. Although we won’t be seeing it at WWDC it will likely be added to iOS 8 eventually. At this point in time it’s unclear what devices will support this feature, but it would be smart to assume it will make an appearance on the iPad, and possibly smaller devices. While we won’t be seeing this at WWDC, there are still some other features Apple may show off at. Apple is planning on simplifying the notification menu, adding WiFi capabilities to CarPlay, adding a XPC service to Apps so they can intercommunicate, and improving the overall performance. iOS 8 will be an important update for Apple as they need to apply some pressure to competitors, so it will be interesting to see what exactly the bring to the table. iOS is not the only big operating system Apple has been working on. At WWDC, we will be seeing Apples newest version of their Mac OS, OS X 10.10, which is codenamed Syrah. Unfortunately not much specifics have been talked about for Syrah. Currently what we do know is that unlike Mavericks, which was focused on performance, Syrah is more focused on the looks. Jony Ive, the current Senior VP of Design, is allegedly trying to drastically change the UI for the better. The new look will focus more on flat elements and white textures much like iOS 7, but there hasn’t been any other news on the look as it is apparently a “top secret”. In addition to the aesthetics, Apple has also been working some new features such as Siri and AirDrop support in OS X. Unfortunately these new features may not be quite yet ready for WWDC. Syrah is going to be a big surprise at WWDC since we don’t know what we will be getting for sure, but let’s hope Apple continues their pattern of sleek UIs and make Syrah live up to it’s predecessors. Last, but not least (well in this case, it may be the least), we have the hardware. Apple isn’t exactly known for unveiling hardware at WWDC. Despite this, a source told 9to5mac that seeing new hardware at the event is likely. While the source didn’t say what we may see, Mark Gruman, a reliable journalist for 9to5mac, said Macbook Airs with an added retina display are the most plausible. Unfortunately, we most likely won’t be seeing anything huge such as the iWatch or a new Apple TV. It’s also unlikely we could see a new Mac or iPhone for that matter, but hardware is always something Apple can surprise us with at WWDC. 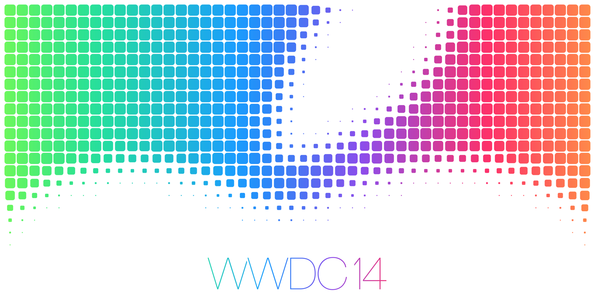 From what we’ve heard so far, WWDC 2014 will be packed with new announcements in regards to their software. A lot of exciting new technology such as smart homes could be unveiled, and it would be refreshing to see a new look on OS X. There are also high hopes that we will see just as exciting hardware at the conference, but Apple may be saving the big announcements for the fall. So far this year has been an exciting one for Apple already due to acquisitions of companies such as Beats. Now we have to wait and see what they announce at WWDC and see if they can keep us on the edge of our seats. Apple has always been known for innovations, but some say since the passing of Steve Jobs, Apple's innovation seems to be slipping away. Will Apple continue to “wow” their fans with WWDC 2014?